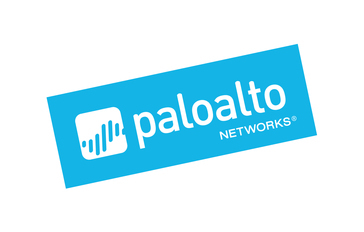 Work for Palo Alto Networks Threat Prevention? Learning about Palo Alto Networks Threat Prevention? I like the PANOS Threat Prevention service provided in Palo Alto Firewalls which are very easy to configure and use. Problems and issues related to threats and worms either inside or outside in organization are perfectly controlled and prevented using this feature. "Threat mitigation in a hacker-filled world"
Auto updates on the appliance are great. The ability to setup custom rules and policies for individual threats is good also. Palo alto offers a great product, however, we have a fire eye appliance sitting behind the palo alto which will OCCASIONALLY catch something that passes through. This does NOT happen often. Switch to Palo Alto, you won't regret it. Threat prevention helps us take control of web server attacks as well as mitigate risks of users on the internet. "Best firewall with great IDS/IPS capabilities"
The best thing about this single pass architecture and provide high performance even with the multiple security profiles (Threat prevention) enabled. This is the best security focused firewall in today's market. Of course, the bad part is renewal of licenses. But we cannot get this highly featured product any where, so, its worth paying it. * We monitor all Palo Alto Networks Threat Prevention reviews to prevent fraudulent reviews and keep review quality high. We do not post reviews by company employees or direct competitors. Validated reviews require the user to submit a screenshot of the product containing their user ID, in order to verify a user is an actual user of the product. Hi there! Are you looking to implement a solution like Palo Alto Networks Threat Prevention?